Press Release: Farah Talib Aziz introduces "The Timeless Bride Collection"
Karachi’s highly coveted boutqiue designer, Farah Talib Aziz has been creating customized couture for almost a decade introduces a capsule bridal collection, “The Timeless Bride”. For this collection Farah Talib Aziz looked towards the rich heritage that Istanbul holds; its bygone era – the rose tint of nostalgia guided her to reimagine the glamour of the most fascinating city on Earth in a captivating foray of a collection: delicate embellishments, translucent silks and a ruffle of lace. Similar to the city of Istanbul, which brings together the charm of Europe and indulgence of Asia with a magical seal, the collection brings the varied but timeless elements to life with the subcontinent’s signature silhouettes including Kalidaar Angharkhas and Farshi Gharars as well as a contemporary flair using peplum cholis and high-low jackets. 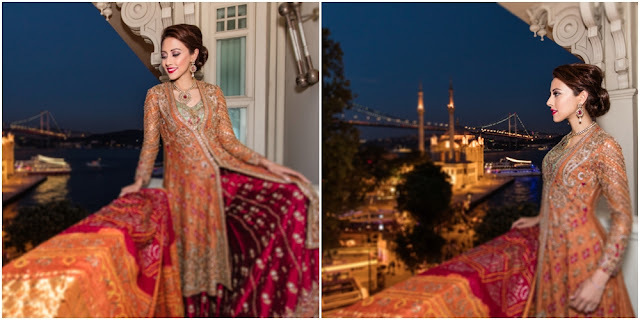 Farah Talib Aziz "The Timeless Bride Collection"
Representing the label is the super talented Ainy Jaffery, whose warm welcoming charm, made the shoot natural and fun. Ace photographer Amean J. captures the campaign in a playful take on the traditional wedding shoots. BTS- Farah Talib Aziz "The Timeless Bride Collection"
The make-up was done by the incredibly skillful Shaarqa Ali, a London Based Make up artist who flew in to Istanbul for the shoot. Review & EOTD: Sigma Beauty Warm Neutrals Eye Shadow Palette...!!! Hope you are doing great. I tried and collected many eye shadow palettes from different brands last year. Sigma Beauty Brilliant & Spellbinding Palette is surely my favorite eye shadow palette from 2015. After that, I got the chance to try the Warm Neutrals Palette by Sigma Beauty that am reviewing today. This has surely become one of my most used eye shadow palettes. 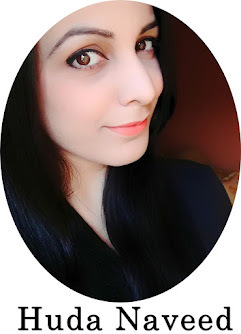 So let's get to the review and see what I have to say about Sigma Beauty Warm Neutrals Eye Shadow Palette. Sigma Beauty Warm Neutrals Palette comes in the signature Sigma black hard cardboard packaging with a magnet that keeps the lid tightly closed. It also has a white cardboard outer box. Once you open the palette, you can see the Sigma text engraved on each shade. The palette also comes with a big mirror inside. The names of the shades are written on back of packaging. Overall, I find the packaging of this palette very sleek and I like it. 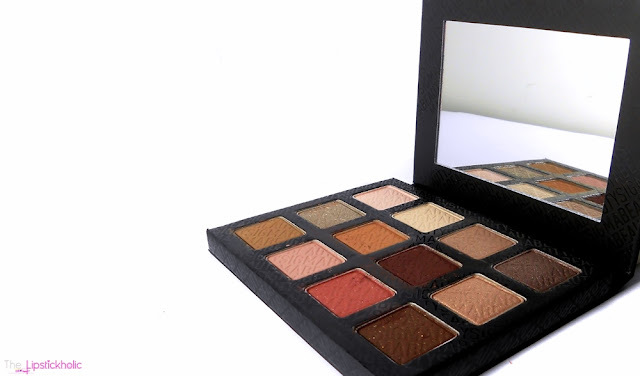 As the name already explains, the palette contains 12 gorgeous neutral eye shadows. 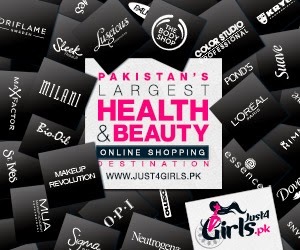 It consists of matte, semi-matte and shimmery shades. 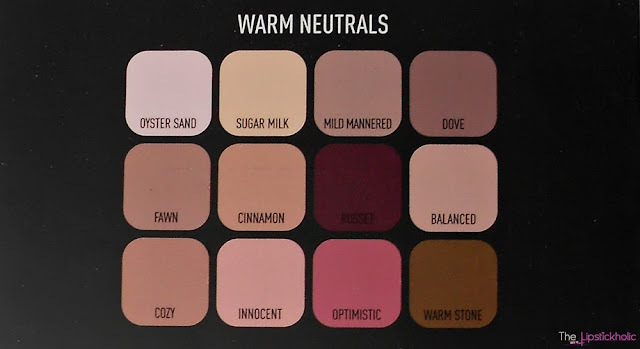 Most of the shades in this palette are warm-toned. All the shades in this palette are highly pigmented and have buttery smooth texture. The matte shades are also very soft and are not at all chalky. However, unlike the brilliant and spellbinding palette, I did experience some fall-out with few shades during application. However, the fall-out was not bothersome. The staying power of the shades in this palette is really great. Almost all the shades stay on my eyes till the end of the day even without using any primer. All in all, I really like this Sigma Warm Neutrals Eye Shadow Palette. It has such gorgeous and unique combination of colors that are perfect to create subtle day time or even night time looks. The pigmentation of the colors is great and the soft, buttery texture of the eye shadows makes them really easier to blend. At the end, here is a quick day time look I created using eye shadows from this palette. Price & Availability: Sigma Beauty Warm Neutrals Palette is available online at Sigma Beauty Website for $39.00 only. Hope you are doing great. Liquid lipsticks were all the hype last year and they are here to stay. From high-end to drugstore, many makeup brands launched liquid lipsticks during past year. Even this year, many new and upcoming collections include liquid lipsticks. One of our favorite drugstore brands, Essence Cosmetics also jumped on the bandwagon and launched these affordable liquid lipsticks. These liquid lipsticks look different than the rest of the lipsticks that I have tried so far. So let's get to the review and see what I have to say about this liquid lipstick by Essence Cosmetics. Essence Liquid Lipstick "Show Off"
Essence liquid lipsticks come in transparent plastic packaging with colored lipstick shape within the center. These liquid lipsticks have a doe-foot applicator that help spread the product evenly on the lips. The packaging somehow reminds me of Maybelline Color Elixir Lip Colors. I find the packaging of this liquid lipstick really cute. The formula of this liquid lipstick is different than other liquid lipsticks. 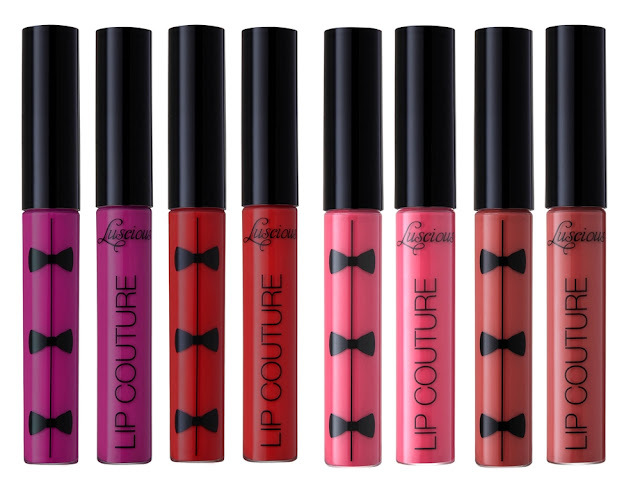 Its hybrid of lipstick and lip gloss. Unlike other liquid lipsticks, its not matte, rather its glossy. The texture of this liquid lipstick is quite thick. It looks and feels more like a gloss but doesn't feel tacky or sticky at all. 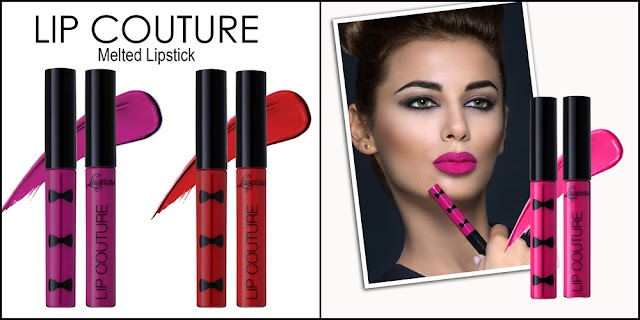 This liquid lipstick is highly pigmented and the coverage it provides is medium yet buildable. Since, it feels more like a gloss, therefore, it doesn't feel drying and keeps the lips moisturized for hours. This liquid lipstick also has a vanilla like scent and it tastes a bit sweet too. However, the scent and taste are not at all bothersome and I like it. The shade that am reviewing is 04 "Show Off" which is a beautiful coral pinkish shade with hint of red. On my lips it appears as a bright coral pink shade. 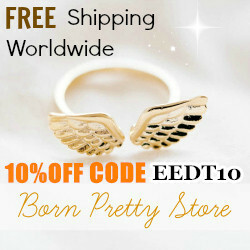 The shade is suitable for almost all skin tones. Being a glossy lip color, it does transfer and fade easily. However, it doesn't bleed. The glossiness/shine of this lipstick reduces after about an hour of application. The subtle coral pink color sticks to the lips for about 3-4 hours and then slowly fades away. It also leaves behind a nice light stain which lasts for an extra hour. It keeps the lips hydrated for many hours and leaves my lips feeling soft by the end of the day. In my opinion, its not actually a liquid lipstick rather more of a long-lasting lip gloss. 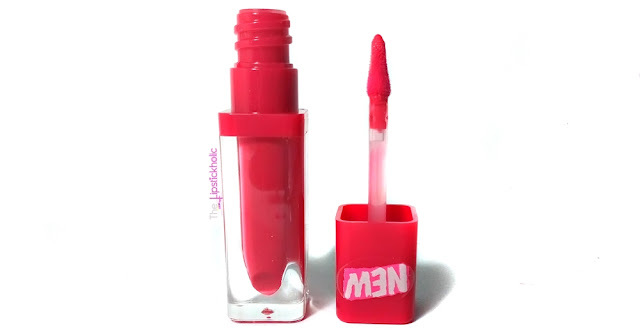 It has decent staying power as a gloss, is highly pigmented and feels comfortable on the lips. However, its not matte and doesn't feel like other liquid lipsticks. Those who prefer glossy finish and are looking for an affordable hydrating lip color should check these out for sure.